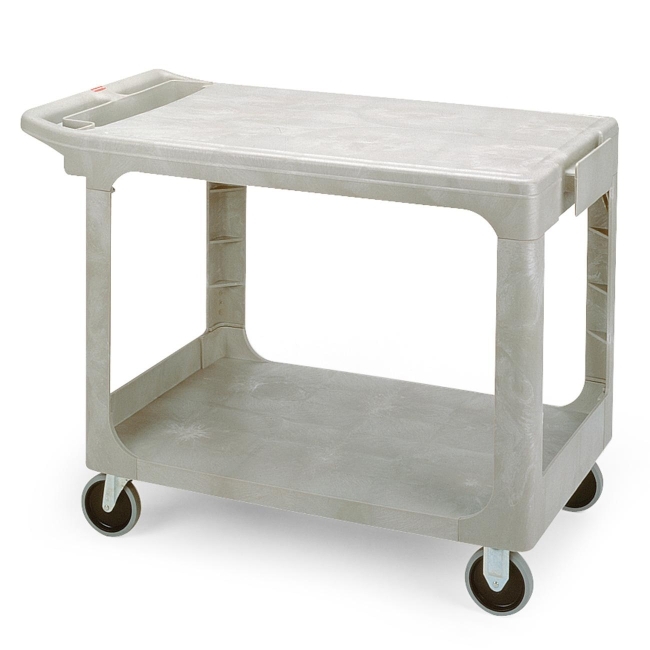 Flat shelf utility cart features heavy-duty structural foam construction that resists rust and corrosion. Weight capacity is 500 lb with a 250 lb capacity for each shelf. Use the handle bin for storing small parts and tools. 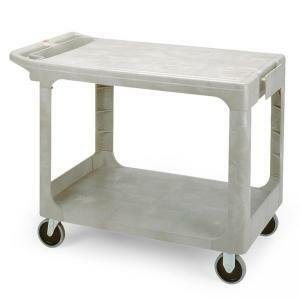 Utility cart rolls on four 5" non-marking casters (two locking).